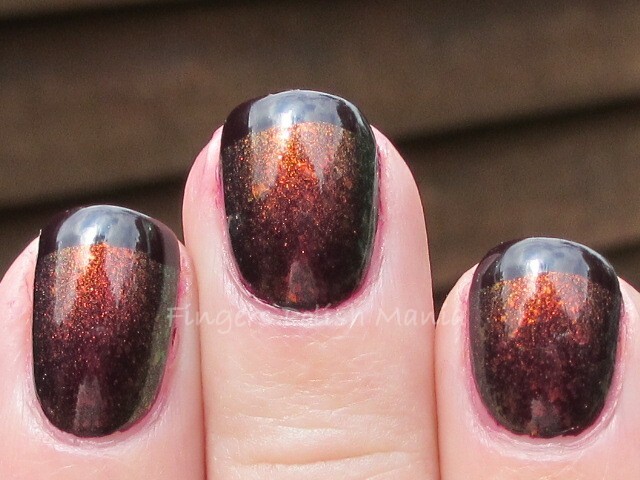 The day I did this mani it was a grey rainy day. The kind of day I actually love. 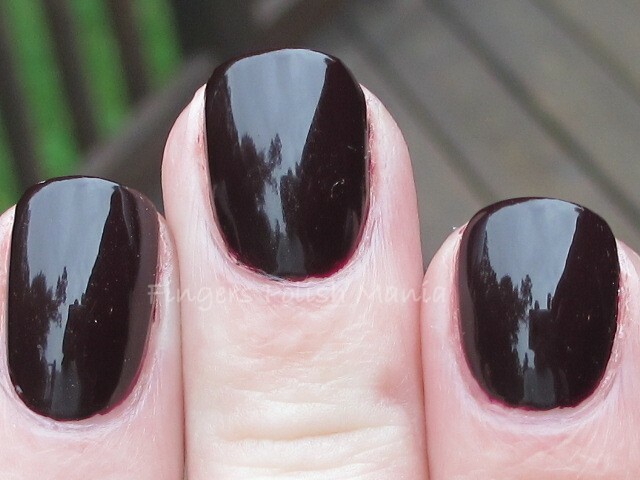 I realized it's been too long since I did my kind of dark vampy mani. Way too many bright happy manis lately! I return again to under the rock from whence I came. This is a jewelry box my mom painted. Isn't it cool? She'll probably be mad that I put it on here, but I think it's awesome! 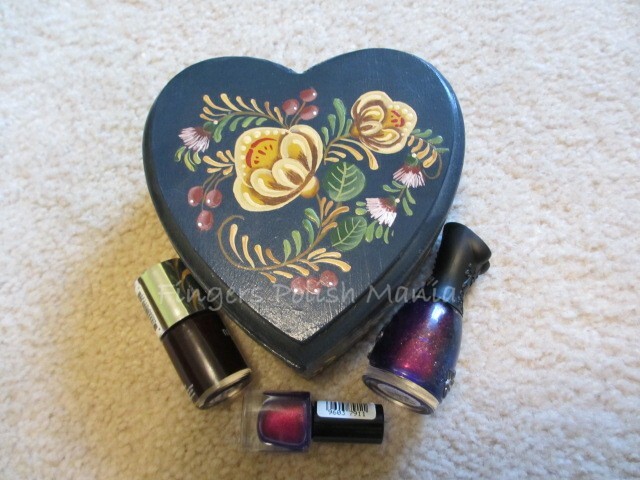 This is Nails Inc Queensgate Mews, Max Factor Fantasy Fire and Nfu Oh #51. I started with Queensgate. This is a deep dark delicious raisin creme. My favorite kind of polish to wear. Yes you will think it looks black, but it isn't. The sun was hiding for this part-because it was raining remember? Please note my almost perfect cuticle line. I strive to be like the big blogs and their perfection of application. I think I did pretty good considering the dark colors are so hard to get right! I am loving this color! Next I added a layer of #51. 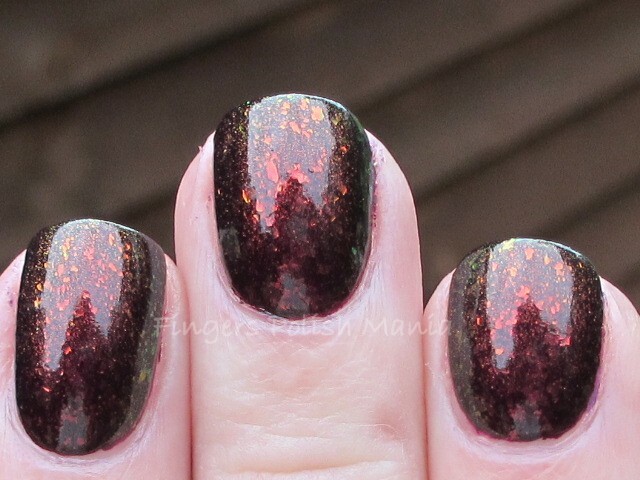 This is a flakie version of Fantasy Fire. Here is that step. Check out the flakie goodness here! Next I added a layer of Fantasy Fire. Here is that step. Oh yeah I am loving this! I then topped it off with my funky in the original Queensgate Mews. Here are the awesome results. Doesn't this look like it's lit from within? That's what I see. There is a stunning green shimmer in certain light but I took a billion pictures and couldn't capture it. You'll have to trust me. It's a stunning forest green. It happened while I was driving going 75mph and I thought damn I wish I could take a picture of this right now! Good thing I didn't try right? 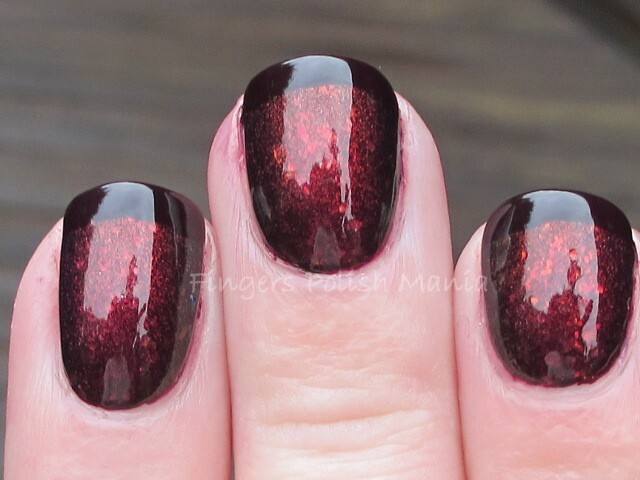 I am in love with this mani. 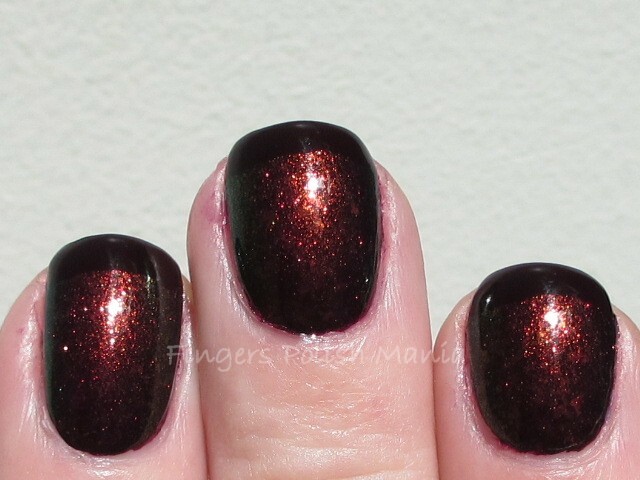 It is my kind of dark and vampy.